Threads, like pathways, are the fragments of a larger tapestry which keep me going; to say this is to admit that I have encountered near crippling impulses to stop—to end. When I have found myself slumped, on the ground, raw as an open wound, there has been a glimmer—a light. This flicker of color sparks a primal curiosity to pursue, and I find myself able to rise again and follow the fibers and textures of life. I found such a thread at A Room of Her Own Foundation (AROHO)’s recent Fellowship event at The Ruskin Art Club in LA. 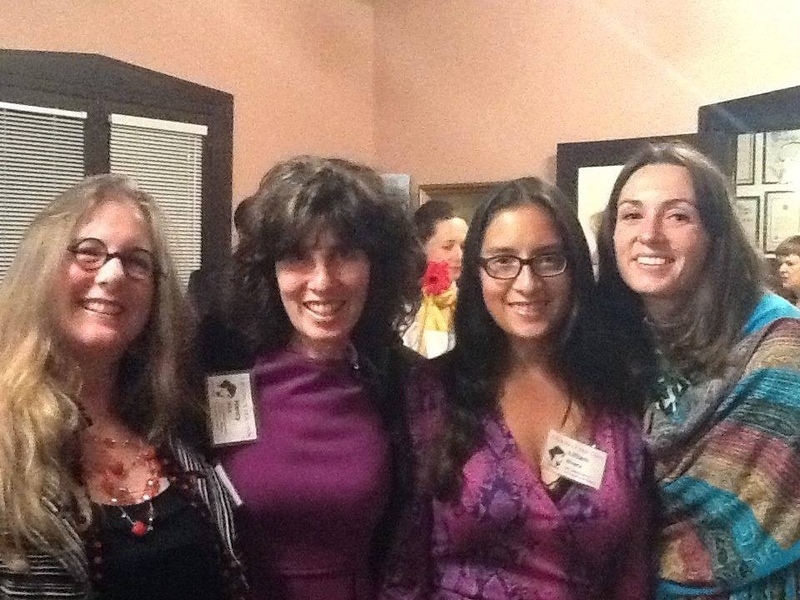 At this event I met The Spirited Woman founder Nancy Mills. It was because of Nancy’s generous contribution to AROHO that I was awarded the Peace Scarf at the 2013 Retreat at Ghost Ranch. Now when I say “met” I mean I found the woman who wrapped me in transcendence—who remade me before she ever looked me in the eyes. This is how spirit works—it supersedes physical limitations to fuel us—it is energy—it is light. The Spirited Woman is a leading women’s empowerment community. Filled with women who are inspiring the world—one spirited step at a time, their mission is to support and help women believe this simple message: YOU ARE ENOUGH AS YOU ARE. Because you are! This is a message I am incapable of hearing; I think I would rather stab myself in the eye than hear “you are enough.” It is only in the rare moments of touch—when I can feel the love of another person upon me—that I begin to intuit the possibility of just being—of being enough. On a moonlit night in New Mexico, after dancing until my bare feet were bruised from joy and moment, I was surrounded by hundreds of beautiful female faces—every shape, every age—hundreds of stories coming together to wrap me in a woven scarf donated by The Spirited Woman. I was cocooned in the color of early morning light—I felt loved—I felt like a stained glass window—a conduit of light and color. Now here is where the threads start to show their weave—how life begins to reveal its artistry. When I met Nancy Mills, she told me she picked the Peace Scarf because it reminded her of Chagall’s stained glass windows. (Chagall!) 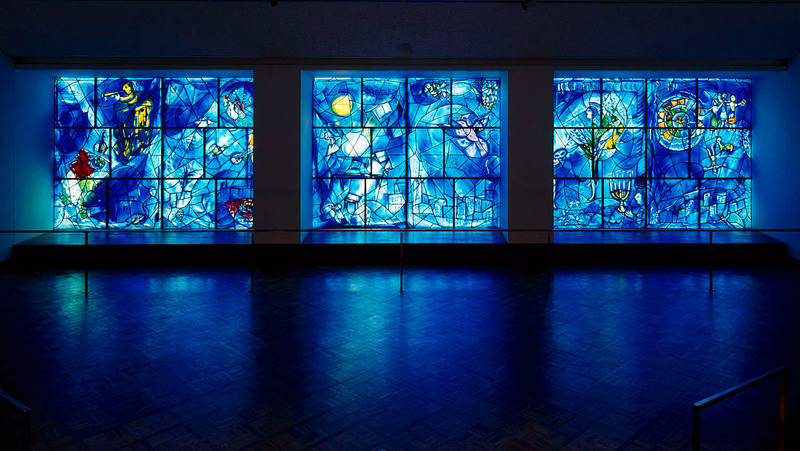 These windows are a magic beyond description—they bring light into a room in ways that allow people to experience the depth of space—they are dark-light—a light usually only understood in dreams; in the windows modulating blue tones are flashes of red and yellow—a flickering brilliance. I know these windows well; I know Chagall’s windows because of Ron. Ron owns Stained Glass Supplies (SGS) in Eagle Rock California. He originally went to college to be a social worker, but realized he could do more good teaching people how to make stained glass windows. There is a cathartic magic to glass—it breaks to come back together. He hired me when I was desperate for money and healing. I worked with other spirited women—my sisters, who risk big, fly high, fall hard. We would stay up all night making patterns out of shards—we told stories, laughed, cried, and found strength in each other. When I first arrived at SGS Ron was tough on me; he wanted me to carry, measure, and navigate glass without apology; he wanted to teach me how to respect glass and by extension myself. Niki, Ron once said to me, sometimes you look like a little rag doll. Ron wanted me to be more than a doll. 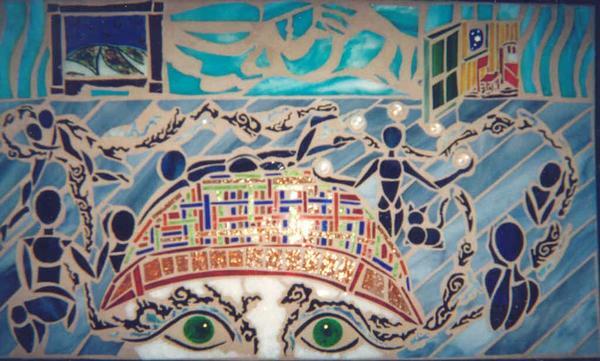 Without Ron, (Chagall and glass) I would have never made it to AROHO, to the light of The Spirited Woman. Nancy told me she loved Chagall’s windows because he made them to show how the spirit can never be broken—it all comes together to make an image—a life. The threads come together. It all weaves together. The art is kindness—what shines is spirit—we see love flickering as a pathway.